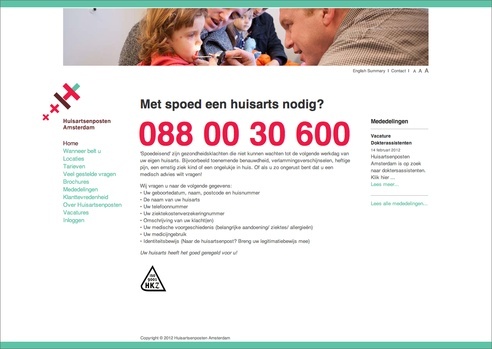 The website of emergency General Practitioners for Amsterdam has recently been renewed. The site offers a clear overview on how to contact a General Practitioner in Amsterdam in case of emergency, which information you need to supply and which documents you need to bring when you visit. The website and user-friendly CMS have been developed in Django by Visualspace.